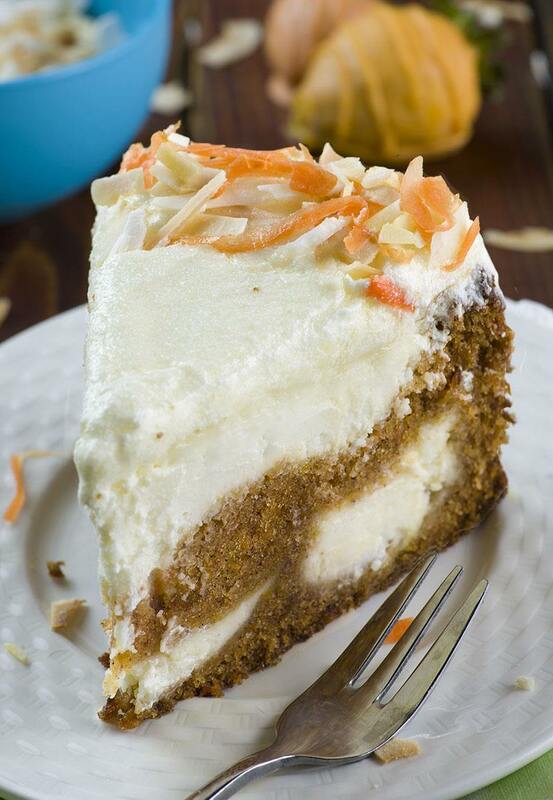 Carrot Cake Cheesecake is delicious twist on Easter classic dessert – carrot cake, especially for those cheesecake fans out there.Moist layers of carrot cake swirled with creamy cheesecake, topped with tangy but sweet cream cheese frosting will be perfect ending to Easter dinner. 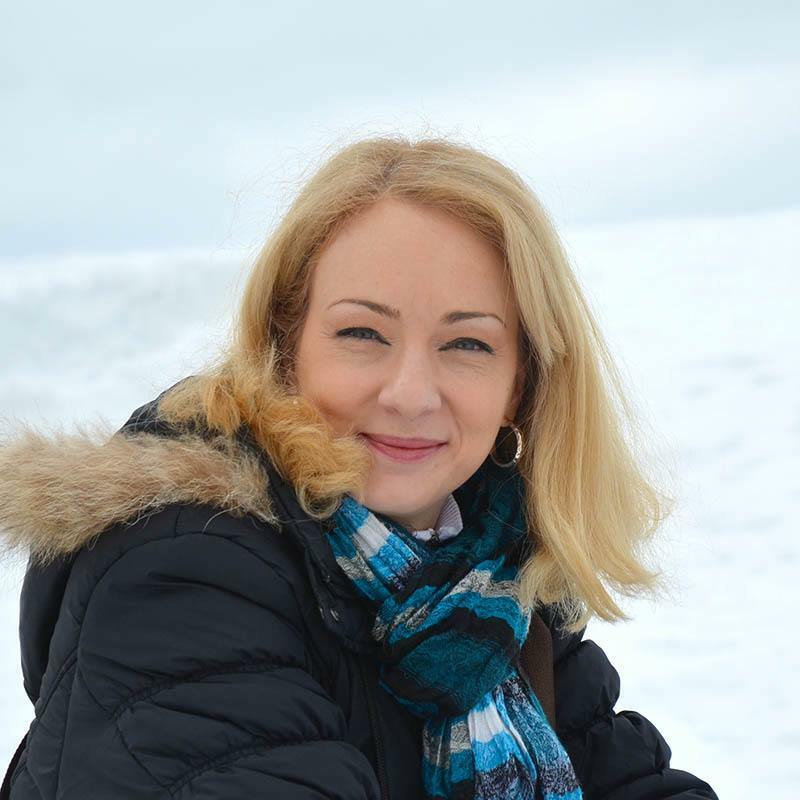 I was really distracted by some personal problems lately and I was not in the mood to deal with recipes, cooking and baking, so my dear hubby took care of our blog and among other things, he was in charge to come up with an idea for our next post. When he found this Carrot Cake Cheesecake from Cooking Classy he was so amazed. He said:” OMG, this looks amazing. This might the most beautiful dessert I’ve ever seen. You have to try this”. I have to admit that I am not a huge fun of carrot cake like my husband but I simply adore cheesecakes so this recipe looks like a perfect compromise that will satisfy both my and his taste. I decided to give it a chance. When I checked the list of ingredients I realized that I was missing some of them in my kitchen supplies so I found out the original recipe at Mel’s Kitchen Cafe that was a slightly different but looks absolutely brilliant as the first one. Directions and the list of ingredients looks quite lengthy, so I thought it would be much more difficult task considering that I just did not in the mood these days, but it’s much easier to put together than it appears, really. Although my Carrot Cake Cheesecake does not look as beautiful as the original, I must admit that it was really delicious. To tell you the truth, I overdid it with cinnamon and also baked it a little longer than it should so my cake turned out much darker than the one I saw in the picture. That’s what happens when you have too much self-confidence and you think that you don’t have to measure the ingredients correctly and watch out for the timing. But I love cinnamon so it doesn’t bother me, just the cake didn’t turned out as pretty as it should be for presentation. It will be better next time when I get back in shape, I promise. 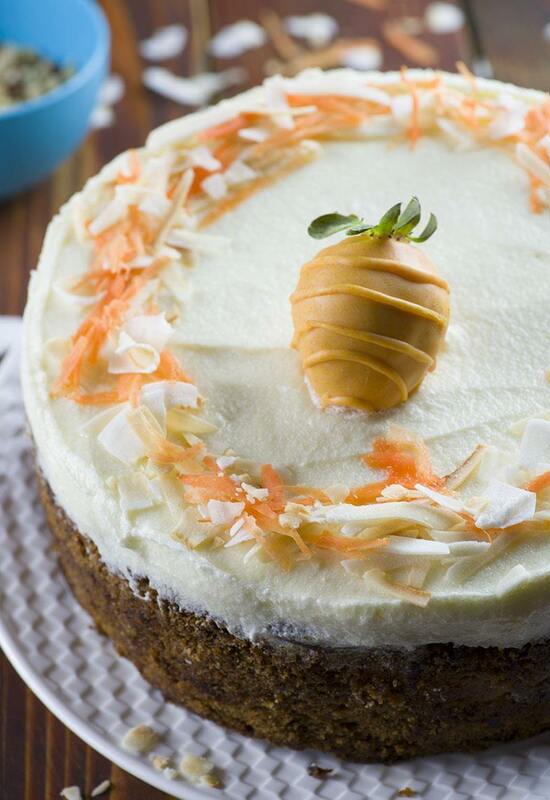 The recipe is really great, so this carrot cake and cheesecake swirled together into one really yummy dessert will be on our Easter menu this year for sure. 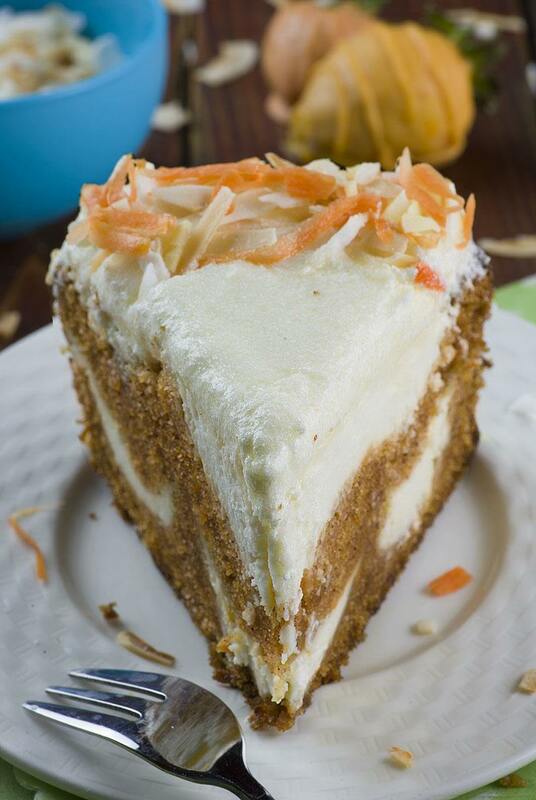 Carrot Cake Cheesecake is delicious twist on Easter classic dessert – carrot cake, especially for those cheesecake fans out there. Preheat the oven to 350 degrees F. Lightly butter 9 inch springform pan, set aside. To make the cheesecake, in a medium bowl beat the cream cheese, sugar, eggs and flour until smooth. Mix in vanilla and sour cream, set aside. To make the carrot cake, stir together dry ingredients: flour, baking soda, cinnamon, nutmeg and salt ,set aside. In a large bowl beat together vegetable oil, brown sugar and granulated sugar until smooth, then add eggs and vanilla and beat until creamy and light. Add dry ingredients and mix.At the end mix in grated carrots. To Assemble the cake spread half of the carrot cake batter into the bottom of the prepared pan than dollop in a spoonfuls half of the cheesecake batter on top of the carrot cake layer. Don’t spread or swirl !!! Dollop the rest of the carrot cake batter on and around the cheesecake batter. Don’t spread or swirl !!!. Spread remaining cheesecake batter on top of all the layers and spread with an offset spatula into an even layer and tap the pan on the counter a couple of times. Bake the cheesecake for 60-70 minute .You can tenting the top of the cheesecake with foil the last 20 -30 minutes of baking to prevent browning too much. The cheesecake will puff in the oven and it might even crack, but it will settle after it cools and will be covered with frosting Do not overbake or it will be too dry but don’t take it out so early while the cake batter is still raw, so start watching carefully after 60 minute. The top center part of the cheesecake should still be slightly soft when it’s done. Let it cool completely in the pan. whip together cream cheese and butter until creamy and smooth, then start adding powdered sugar a little at a time. Add vanilla and sour cream and mix well. Spread the frosting evenly over the top of the completely cooled cheesecake. Cover and refrigerate until ready to serve. Before serving run a thin knife around the cake and release the ring of springform pan. Garnish with grated carrots and toasted coconut if desired. Hi! Just wondering if this can be made the night before? Hi Christina, yes it can. looks amazing. Im making easter. Can the cake be made ahead of time and then frozen before the frosting step? Hi Jill, you can freeze the cake. I tried this recipe but the cake part was still runny. Even after the next day. I cooked it for the full time. Any suggestions? after it cooled it sank in waves? What size pan are you using to make the carrot cake/cheesecake? I am assuming a large one since it sounds big with 2 types of cakes together? Hi Tammy, I used 9 x 2 inch round , springform pan. It’s just half of a cheesecake.